Robust products, superior customer service and attention to detail have made Workplace successful for over 50 years…Experience matters. Workplace has built its outstanding reputation for innovative design, superior craftsmanship, and responsive service, ever since Aime Huard began building metal workbenches in an old mill in Manchester, NH. 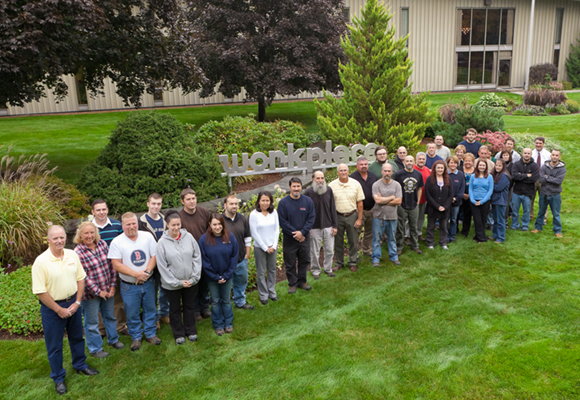 Since then, we’ve shipped hundreds of thousands of benches, tables, and workstations across North America. The Workplace commitment to a solid, well-crafted product has resulted in our outstanding reputation for American-made robustness, durability and longevity. Workplace is the only brand built with true cross-family compatibility. This lets you mix-and-match components from one product line to the next to create an infinite number of possible workstation configurations. Our enormous variety of add-on accessories allows you to optimize your workstation to fit a precise task or capability. Just as important, Workplace products may be reconfigured easily as your future needs evolve. Workplace Design Specialists have satisfied an enormous variety of simple and complex task requirements. They’re experienced, fully prepared, and happy to assist you to configure the “just right” task solution for your requirement. 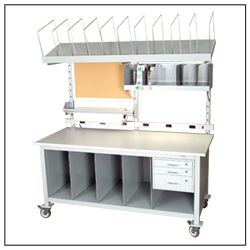 Your Design Specialist will help you determine the best workstation to meet your task requirement. Then, he or she can help you choose the components and accessories you need to maximize productivity. Shortly after your phone conversation, you’ll receive a detailed quotation—including Engineered drawings—to provide an accurate visual representation of your configuration. In addition, we have a complete range of support services, including design, floor layout, and Engineered drawings. Assembly and installation services are also available. All of these services are available without obligation. 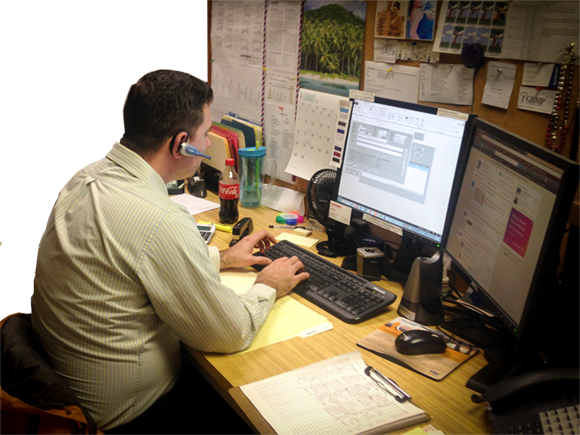 But we think you’ll want to place your order with the most experienced workstation company around. Just call your factory-based Design Specialist at 1-800-258-9700 to find out.